One of the best time of the year to visit Madeira Island is in the Summer, because of the mild subtropical climate. Almost all year round is summer on the island! 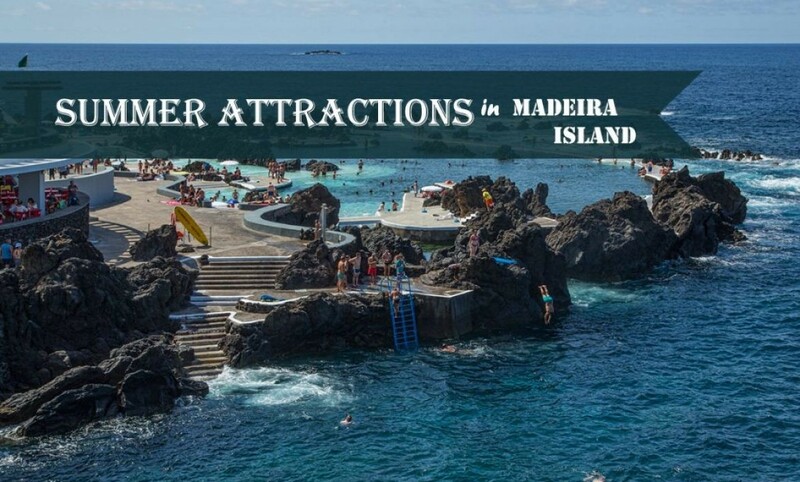 Let´s get to know some of Madeira´s summer attractions. Madeira Island beaches are known for their high quality and mainly by the water temperatures. This beach is located in Caniçal, it is a beach of black sand and crystal clear water. This beach have a surveillance service and a snack – bar. It is open all year with free access. Located in Funchal, this beach complex was renovated in the summer of 2016 for better accessibility. It has two swimming pools, one for children and another for adults. It’s a watched beach with a snack bar. Come to know and enjoy! It´s open everyday from 8:30h until 20:00h. It is located in Porto Moniz, these swimming pools were formed by volcanic lava where the sea enters and leaves naturally. Do you need to relax and take a dip? This is the ideal place! In Summer it opens at 9:00h until 19:00h. In Winter it opens at 10:00h until 17:30h. These pools are located on the north side of Madeira Island, more precisely in Seixal parish. They are pools of volcanic origin and boast an incredible landscape. They are of free access, having no surveillance service. It is a good option for those who want to relax and dive away from all stress. This beach, also located in the parish of Seixal, it is of black sand and free access. It is among the rock that offers a beautiful landscape painted by the green of the mountain and the blue of the crystalline waters. Calheta beach is located in Calheta municipality. It is an artificial beach with yellow sand from Morocco. It is free of charge and has sun loungers and parasols. It has a solarium with about 7,300 m2 and extension of 100 m. Here the sea is very calm due to the two breakwaters as protection. 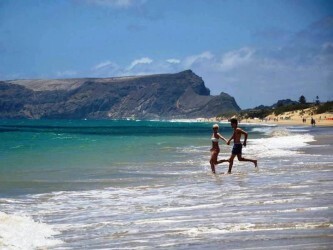 Located in Porto Santo Island, it is a 9km long beach with an extensive golden sand, which gave rise to the “Golden Island” name. Crystalline and warm waters with a turquoise blue, becoming a unique legion in our country and rare in the whole world, being chosen as the best dune reserve. A unique place to enjoy a fantastic holiday. 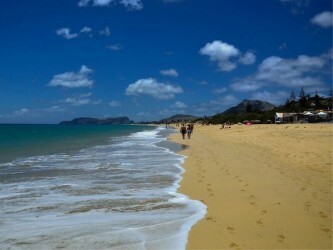 It is located in the parish of Machico, is a yellow sand beach, with about 125 meters extension. These pools are located on the seafront promenade of Porto da Cruz. There are two pools, one for children, another for adults with a view over the sea. They have several services from showers, sun loungers and a support bar. 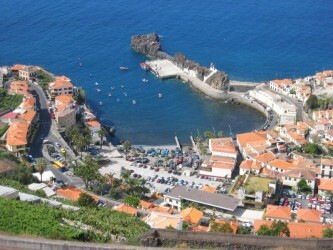 This beach is located in the village of Ponta do Sol and is 160 meters long. It is a pebble beach, with good quality water and very calm. They have showers, a snack bar and a game area. Also known as the “Atlantic Floating Garden”, Madeira Island is also famous for its natural beauty with its well-kept gardens and parks where you can observe a wide variety of exotic plants and flowers around the world. Located in the center of Funchal, Santa Catarina Park has an area of 36000 m2 where we find a lawn surrounded by arboreal species from every corner of the World. Here we can enjoy a magnificent view over Funchal. It is located in Santana municipality. This park has an isolated area of 5 km, where we can observe the flora of the Laurissilva Forest, rich in biodiversity and also has a picnic area. Here you can also find the Caldeirão Verde Levada Walk, a very calm space. Situated in Santana, this park is surrounded by a wide variety of native plants and towering trees. 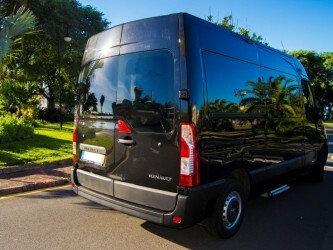 You can also observe some flora and animals characteristic in the fauna of Madeira. In this zone there is also the Agricultural Post of Ribeiro Frio. This restaurant is located in Funchal. It is a cozy space where you can enjoy a meal in its esplanade with a magnificent view of the atlantic ocean. It is located in Funchal, near the entrance of the Lido bathing complex. This space has an excellent esplanade overlooking the sea. All of its menu can be enjoyed at any time of the day, suitable for families, friends and children. Barreirinha Bar and Café is set in a quiet seafront location in Funchal. A perfect place to relax while offering a large esplanade on the road. It serves ice creams, snacks and small snacks ideal for a light breakfast or late snack. The Barreirinha also serves a variety of regional alcoholic drinks as well as wines and mojitos. It has occasional entertainment, such as live bands, jazz players and DJs. Qasbah Live Music & Cocktails is located in Funchal on the Lido promenade, offering fantastic views of the ocean. It is a cafe and resturant in the Arab style, with a large interior and a spacious exterior. It is an ideal place to relax offering a comfortable environment with occasional live music and entertainment. Portinho is a bar & restaurant located on the promenade of Jardim do Mar. It is situated by the sea with a fantastic view over the beach. Ideal for a break, and sit on the terrace. The Zion Project is a beachfront bar located on Anjos beach in Ponta do Sol. It is a very calm space where you can enjoy your esplanade drinking a soda with a view of the ocean. It is located in Porto Santo, is a bar with a terrace facing the beach. It offers a terrace, where you can enjoy the maximum. It is located on the Island of Porto Santo, is a bar and restaurant overlooking the sea with a terrace where you can relax. 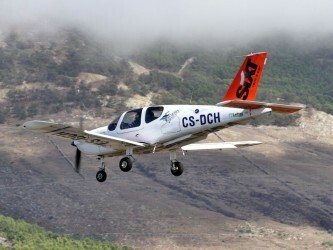 It is located in the west of Funchal. It is a relaxing, seafront promenade that offers lovely ocean views and pleasant gardens. This tour connects the Lido area with Formosa beach. Along the route you will find some restaurants and bath complexes, such as the pools of Lido and Ponta Gorda. Located on the seashore, it offers pleasant walks from one side to another of the parish of Jardim do Mar. It is a promenade with a wide and flat walk with access to the beach of Enseada. t is located in Caniço de Baixo, in the county of Santa Cruz. It is a walk with great views over the sea. Here they are held for a week, parties during the summer. These are some places that you can visit during the summer on Madeira Island, come and meet each one of them and let us know what you think. We believe you will love it!